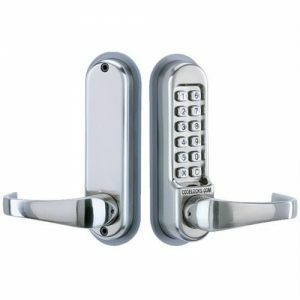 Access control allows entry by memorised codes, they come as two main types mechanical and electronic push button locks. 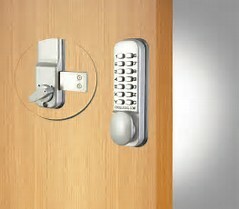 Both types are available in light, medium and heavy duty. 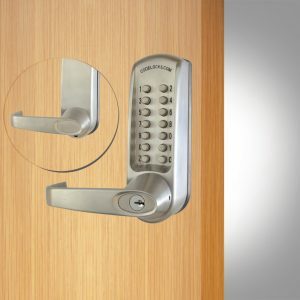 Mechanical are simple push button locks using a single code, which can be changed at any time by removing the unit from the door and re-positioning the spring loaded pins. 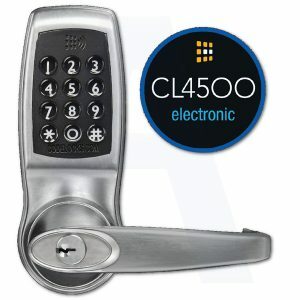 Electronic Digital offer major benefits over mechanical locks and unlike other access control solutions, they do not require complex wiring or large backup power supplies, or ID cards making them more cost effective for many applications. 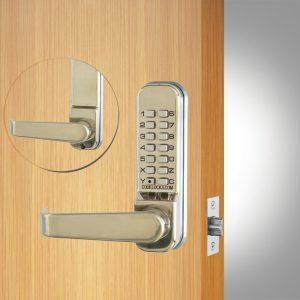 They tend to allow up to 80 user codes and different lengths of codes, making the convenient to use. Important if you are installing a digital lock to a 30 or 60 minute fire door you must fit the fire kit around the latch to protect the integrity of the door. Technician and office always pleasant. Prompt service, helpful technicians, no attempt to sell us a ‘modernised’ alarm system.